A Credible, Ethical, Real Psychic Medium. Phenomenal Scientifically proven abilities. Sarah sees what others cannot! Real Psychic Answers you can Trust! Her abilities are showcased on Live Radio every Tuesday. There are quite a lot of "Psychics" out there but, only a few have the ability to hear spirit speak. Sarah's "Sixth Sense" and "Prediction Ability" were acknowledged by her family when she was only 3 years old. Since the age of 5, Sarah has used her abilities to accurately predict events in the lives of others and make contact with spirits, entities and energy. She has over 40 years of experience with her Psychic and healing abilities. Sarah's abilities were recognized scientifically during the loss of her daughter by medical professionals at Akron Children's Hospital when it was found that there was no scientific reason for her daughter to be alive other than her psychic mother willing her to be so. She is known to be a Real Psychic who can use her abilities to see the future and offer healing. There is a reason why over 90% of Sarah's sessions are with repeat callers. Sarah has one goal when reading for you.... reveal the truth so that you can make an informed decision! NOTICE! Timing can be gotten through a Clairvoyant image that shows timing on it. If timing is necessary we will be able to see it through the connections we have with spirit and energy that is present within a Clairvoyant image. The name ASTROSarah has become synonymous with Real Psychic Ability and she has been showcased on Live Keen Radio, TV and Keen Facebook Live! When you have nothing to hide you hide nothing at all. For nearly 4 decades Sarah has been using her abilities and nearly 2 decades showcasing her abilities over the internet, in person, traveling the United States and abroad. Giving you Peace of Mind through the truth is her goal in each session. Sarah is one of Keens Top Expert Psychics with proven abilities and a lifetime of experience. Sarah will capture the insight and answers you need to help guide you towards peace and balance. She will help you move through your concerns by answering your questions with direct answers. Everyone has different needs when asking for Psychic help. Sarah has the soul of a Humanitarian. She is nurturing, loving and compassionate. Her lifelong work as an advocate to prove "Second Sight" exists has drawn global attention and garnered her the name ASTROSarah. As a seasoned Paranormal investigator she can also assist you with questions regarding Paranormal activity. Sarah's expert abilities are showcased on Live Keen radio every Tuesday night! She is known for being an Authentic Psychic. Honest, sincere and accurate, Sarah has a wide variety of clientele who have comfortably reached out to her for Psychic readings and Paranormal assistance privately through Keen and on Live Radio that include Celebrities, Authors and Families dealing with personal tragedies publicized through the media such as CNN and People Magazine. You'll find no gimmick here, Sarah is a Real Psychic. ASTROSarah is very caring and supportive, with a down to earth, direct approach. Sarah will not tell you what you want to hear, she is honest and ethical and believes the truth is important. She will tap into your energy and the energy surrounding your questions immediately and answer your questions directly. Sarah does not sugar coat her answers. She casts no judgement because she believes that everyone's path to a higher power is unique. Sarah's work is based on her belief in God. Sarah can also assist you to recognize, tap into and develop your own dormant abilities. Listen to Sarah give LIVE readings on Keen Radio every Tuesday beginning at 5:30pm PT/8:30pm ET. Visit https://www.keen.com/radio to listen to archived events where Sarah shares her abilities and allows for you to listen in, to hear what a reading with her is like. Click the heart on her Keen Photo and add ASTROSarah to your Keen Favorites list then check this listing often as we have some exciting new opportunities and upcoming events for readings that we're sure you won't want to miss! ASTROSarah accepts arranged calls when she is not immediately available. To obtain a Live Psychic Reading with Sarah Call 1-800-ASK-KEEN Extension# SARAH (72724) She has a private, easy to remember extension. As soon as the call started, she read my mind as to what specifically I called her for and totally nailed the financial outcomes which I was expecting to happen. May is the month which is going to change things. She can picture out things really well. She saw some "Sale - Sale" thing which could be a house I am looking to buy. I would have the house in few months (June-July). Seriously superb call. None of the advisers here have even come close to this. I have respect for her she can read everything. I am going to stay in touch with you. Please come here back in the Bay area. Please take a call with her :)) She deserves much more feedback than this. Thank you Sarah...I will be waiting to watch this all play out! Sarah is one of the best on this site and a trusted friend and confidant. Been so long! Love her to pieces. Helped me on my journey. 5 years of faithful guiding. No one better or more accurate. Sarah is amazing. Great advisor. Timing is left in the hands of free will. Do not expect an advisor to predict the behavior of others. Life gets in the way and may slow progress. It will happen when it happens. A watched pot never boils. Thanks my friend! they gave her an extension that's easy for you to remember. 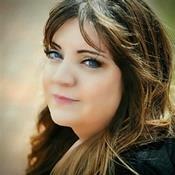 ASTROSarah (Sarah Bina) is a professional psychic with Real psychic Abilities. Are you looking to talk to a Real Psychic? Are you confused and concerned about your relationships, career, financial situation or life in general? Do you have questions about paranormal activity or a loved one that has passed over? If so, then Sarah is here to assist you. Sarah is known for her abilities... She has traveled extensively and has known of her abilities since the age of 5 when she was first introduced to her spirit guide Jack. Please understand that I cannot answer any medical or legal questions. Sarah's Abilities Include . . . . . .
Sarah sees images that are given to her as messages from her spirit guide Jack. She also connects with your spirit guides and allows for them to communicate with imagery. Some images come in the form of Mini Slide shows that depict upcoming events. These images typically represent something that has happened in Sarah's life allowing for her to better understand what they are trying to tell you. Sarah hears messages delivered by those that have passed over, your spirit guides and her guide Jack. Through her guide Jack she is protected and allowed to communicate with these entities. There are times that Sarah has heard conversations from the past, word for word, what other's have discussed. Sarah can hear the thought's of those around you and can ask what it is that they think and feel about you personally. Sarah feels the emotions and physical sensations of those that she is reading. People do not always communicate their truest feelings in a way that we can understand, due to differences of perspective, however, feelings are the basis, the foundation from which everything we do is derived. This is Sarah's most cherished ability, the ability to feel the love of others and to feel those that cannot be trusted. Sarah comes from a family of psychic mediums and since the age of 5 Sarah has had the ability to communicate with those that have passed over, beginning with her guide Jack. Typically a spirit will offer up evidence of who they are by informing Sarah of their intentions and then of an event, name of a family member, direct connection to you or an item that they remember having or you having in life. These events are not rare for Sarah and she has learned that when a loved one wants to speak, there is almost NO stopping them from doing so during your reading. ASTROSarah has been a user of Keen since 2001. Getting Life Questions advice from ASTROSarah through www.keen.com is safe, secure and confidential.